My next class at Modern Makers is on the books. You’ll get to choose one of the three designs shown in the photos above. 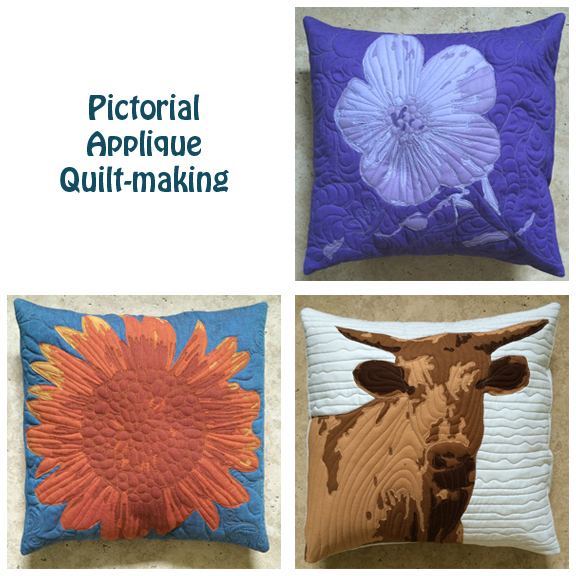 I’ll walk you through how to take a printed image, transfer the design to fusible web, build an image from fabric, and how to machine quilt in the details. You’ll receive a handout with instructions to create a pattern from an image of your own using Photoshop or Gimp.